Finished Nov 2017. Final score: 5 / 5. I've enjoyed previous books by Brandon Sanderson, and this book was recommended by NPR. None. I went in to this blind. If you can get passed the first several chapters, this book really starts to pick up and ends in an epic finish. I'm writing this review after having completed the entire Mistborn trilogy. I recommend reading each of my reviews since each book builds on top of each other in a fundamental way. I'm going to focus on the fact it took me 3 tries to finish this one, yet I gave it my highest rating. My problem is that I had absolutely no idea what was happening. I was constantly having to backtrack to make sure I did not miss anything. The story just kept right on going. Here is what I realized: I am not supposed to know what is happening because Vin does not know either. Eventually, knowledge nuggets are dolled out which I heartily eat up because it helps the book make sense. By the time I am a third of the way in to the book, I have enough knowledge that I can follow along (albeit clumsily) and trust confusion will be made clear. Towards the middle and end, I am advanced in Mistborn lore (as is Vin), and I am gobbling up the story to a satisfying finish. Stick to the book. It is confusing at first, but it is worth it. 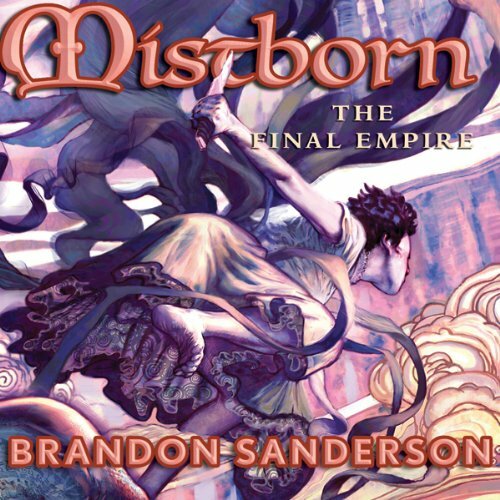 Discuss Mistborn: The Final Empire (Book 1) in the forums.